Ask about having reflexology for your special event or workshop! Can Reflexology help my child? 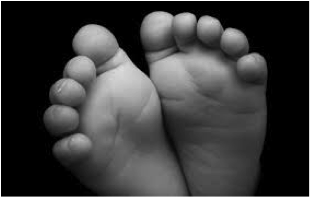 Reflexology can be very relaxing and soothing for a young child or baby! The work can help promote the health of the child's body systems as they are growing, and offer support in times of health challenges. When I work with younger clients, I use a very gentle, light, and slow approach. I feel that it is important for children to feel comfortable and safe when receiving any kind of bodywork, so I take care to work within their tolerance. The session might last 20 or 30 minutes, or even less, depending on the individual. The child can sit on the parent's / caregiver's lap throughout the session, or they can be on the massage table or floor. If they need to wiggle or move, that is fine too! I let them lead where they need to go, and do my best to honor the expression of their needs. If they are giving signals that they've had enough, we stop. It's a good way to learn that they are in charge of what happens to their bodies. © Copyright 2019 Milwaukee Reflexology. All rights reserved.